Every so often amongst my group of friends, the topic of tires comes up. It’s always, who can score the cheapest tires and how those performed, and I had to wonder if the guys weren’t approaching this totally the wrong way – the right size tire isn’t always the right tire for the car, even if you get a deal on it. Turns out, I was right. And I fell in love with open-top motoring all over again along the way. Michelin doesn’t make Pilot Super Sports in 16in anymore, so I had to think of something else – and the tires on it had been run down to the cord, so I needed a solution RIGHT NOW. 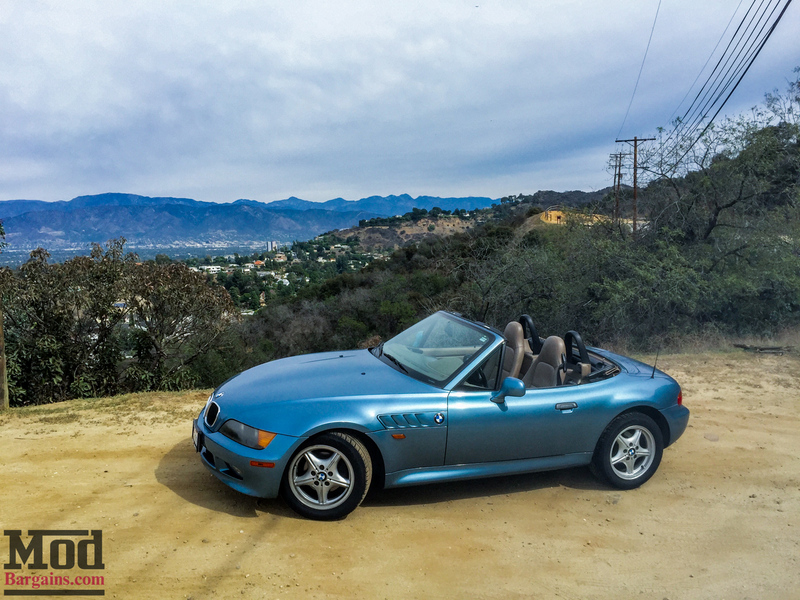 Fortunately, Hankook offers some great sticky tire options still available in the Z3’s itty bitty 16in wheels. 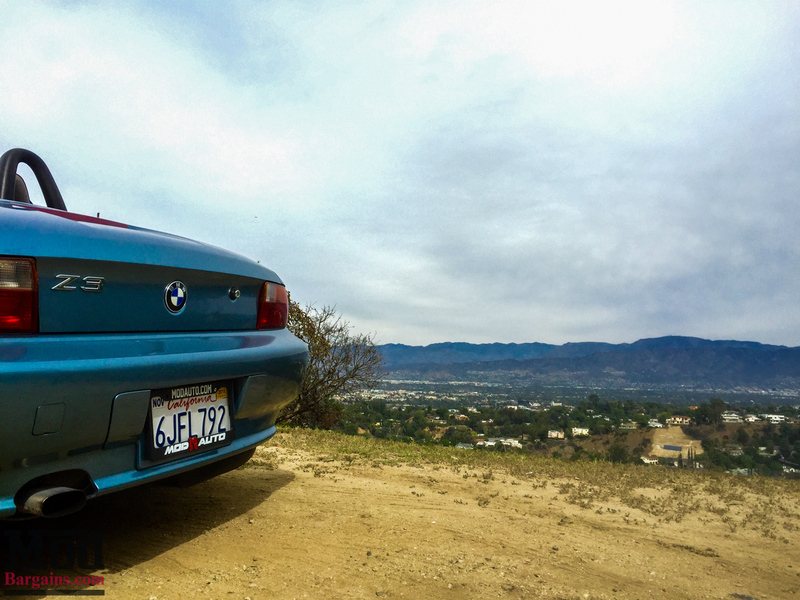 Fitted with a fresh set of 16in Hankook Ventus SL W-Rated tires, I borrowed the keys and took the Z3 up to the world-famous Mulholland Highway to get a feel for how the car performed on fresh, sticky, quality rubber, versus how it felt on the cheapo tires we bought the car with a few months back. 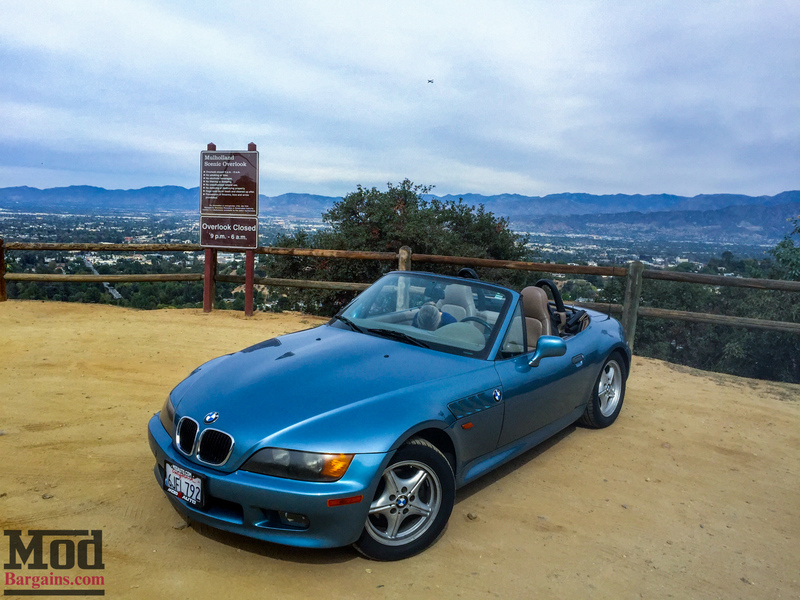 The difference in grip and turn in was night and day – not to mention the ride quality was also improved over the aged-and-worn tires we’d bought the roadster with. With fresh rubber, the car had no problem hanging with a new Porsche 991 having some fun in the corners – which isn’t bad at all for a basically stock car that’s almost two decades old. 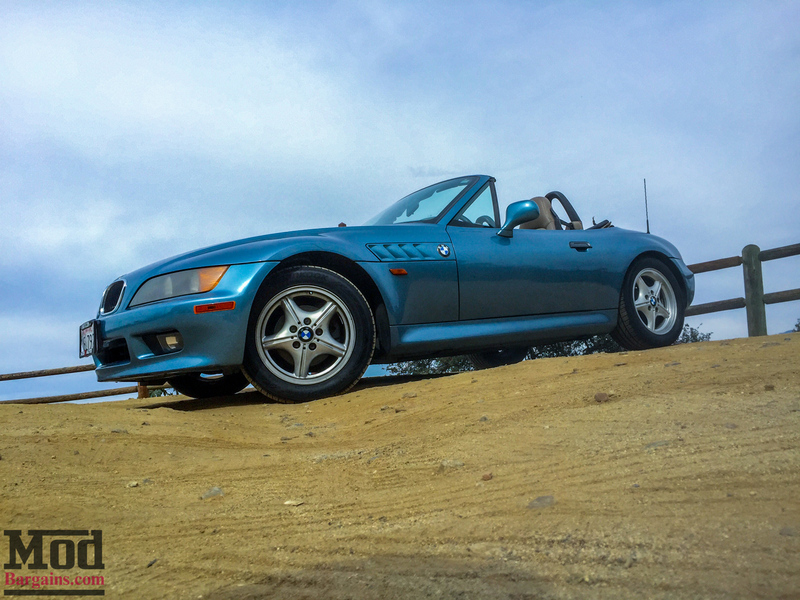 With fresh Hankook Ventus Tires on the Z3, turn in was much sharper, the car held its ground on sweepers and felt as confident as a mountain goat in the Himalayas. The difference in performance between a set of cheapo bargain tires that are “the right size” and a set of tires that’s the right performance compound was eye opening, to say the least, even on a lightweight car whose sole purpose is to excel at handling windy roads. 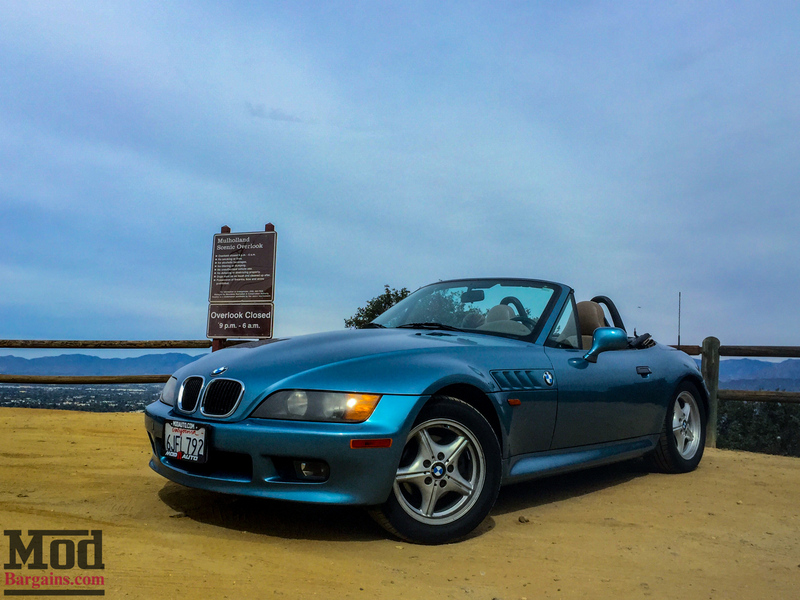 With the top down, it’s easy to see why despite its age, the Z3 remains a favorite of owners and its design is a classic, particularly in the Atlantic Blue/Tan combo we have here – the same color combination the car wore when it made its debut in the James Bond film “Goldeneye” back in 1996. The moral of the story is that spending the extra few dollars for a stickier tire is something worthwhile and pays dividends every time you hit a windy stretch of pavement. Looking for a deal on your sticky performance tires? Talk to our Mod Experts, give em a call at 714-582-3330 to see what promotions we currently have available on performance tires appropriate for your performance car. So, what’s next for the Z3? Will it stay stock? Well, we’ve already upgraded the Z3 lighting with a set of GP Thunder 7500k 9006 Low Beam Bulbs and GP Thunder 7500k H7 Fog Lights to see clearly now that the sun sets at friggin 4:30pm, but we hope to give the Z3 suspension some love soon – a drop from Vogtland Suspension may very well be in this car’s future. 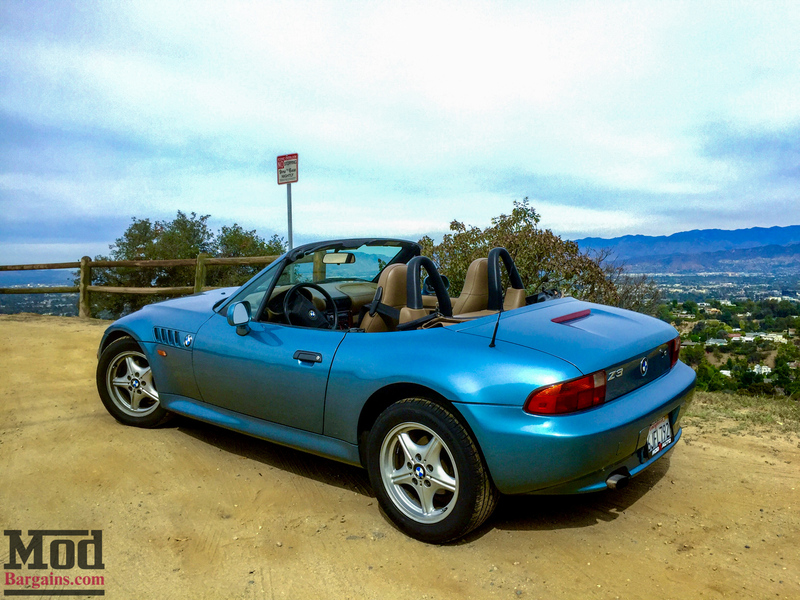 Have a BMW Z3 or Z4 yourself and need something done to your coupe or Roadster? 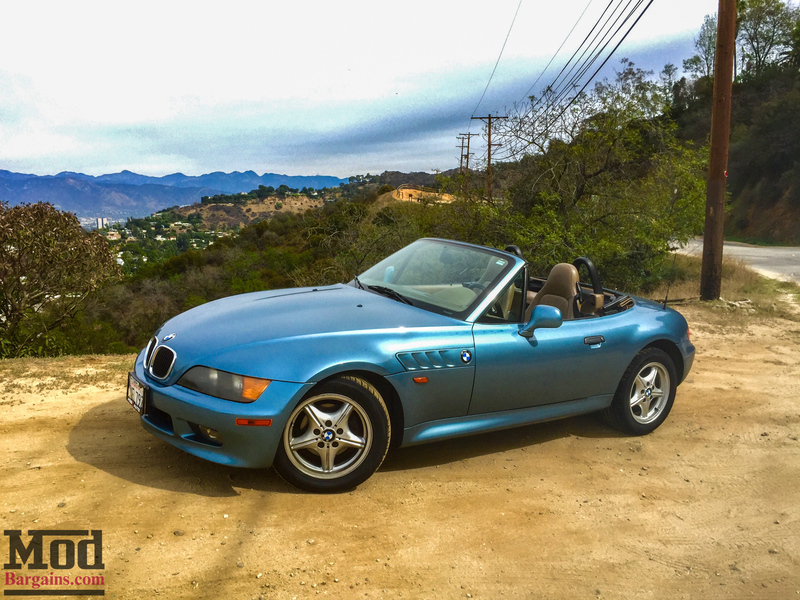 Ask our team of Mod Experts and BMW Specialists for their advice – Call 714-582-3330 (x8006 for Sr Mod Expert Alan Wei), chat live at ModBargains.com, or just stop by the ModAuto showroom in La Habra, CA during business hours. Special Thanks Stephen Gregson for letting us borrow the keys!